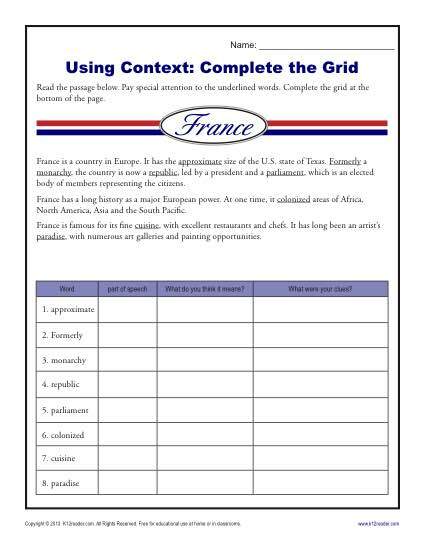 Need a context clue worksheet? Here’s one with a grid that helps your student with the process of determining the meaning of unknown words. It’s a great drill for Common Core Standards for 5th grade, although other grades may use it as needed.